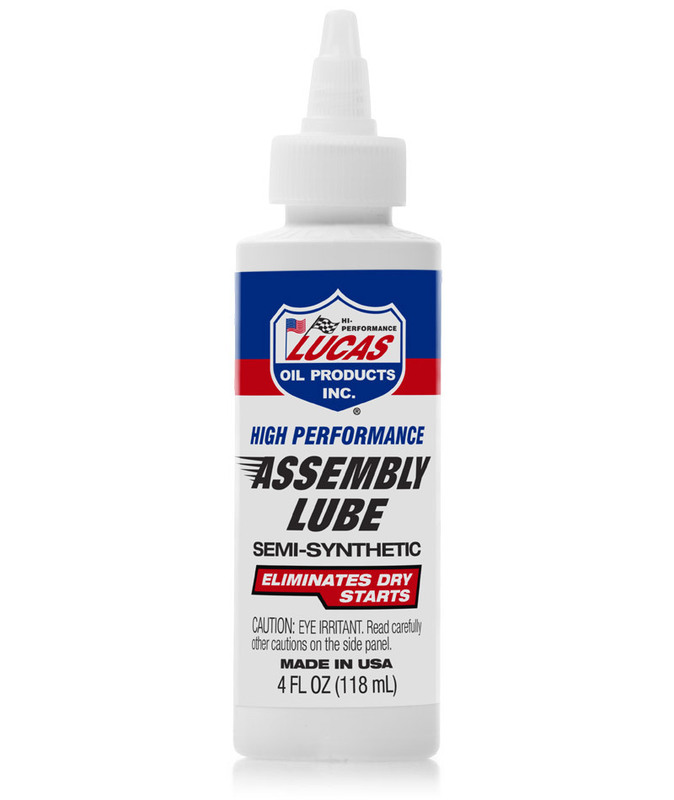 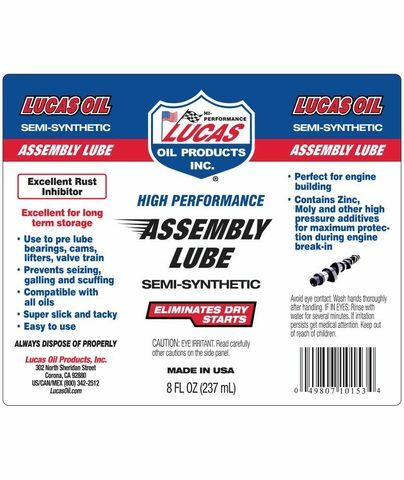 Lucas High Performance Assembly Lube is designed for mechanics and technicians to pre lube bearings, cams, lifters and valve train. 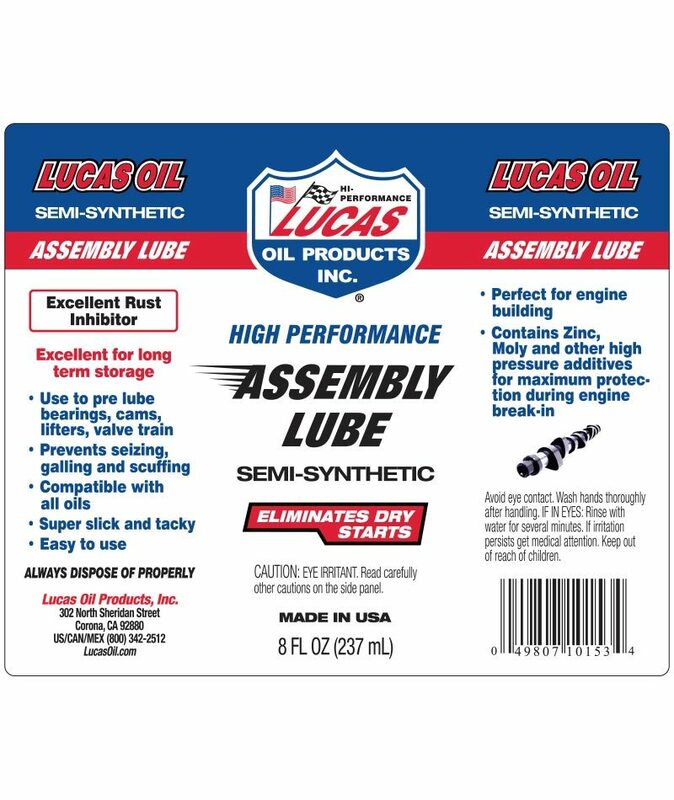 The Semi-Synthetic formula contains ZINC, MOLY and other high pressure additives which offer maximum protection during engine break-in. 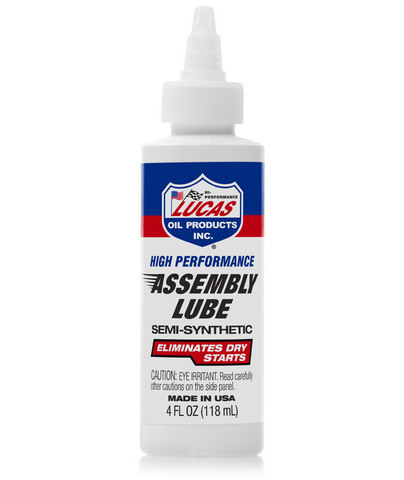 Super slick and easy to use, Lucas High Performance Assembly Lube will eliminate dry starts and prevent seizing galling and scuffing.